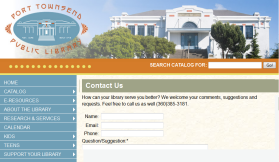 We provide website services connecting public libraries with their patrons. We handle the programming; you reap the benefits of being able to offer your users a more engaging and interactive web presence. 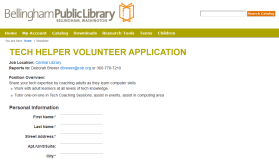 Engagedpatrons.org services are free for qualifying public libraries. Delight your patrons by alerting them when new titles are added to the library catalog by their favorite authors or performers! 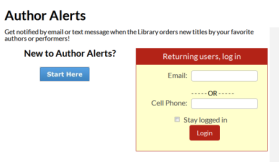 Patrons LOVE Author Alerts! 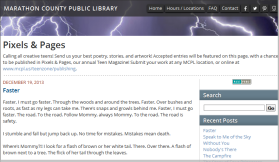 The only online reading program for public libraries with fully-integrated social networking features. Keep your patrons engaged in reading as they interact with other readers and library staff â€” creating and sharing book lists, reviews, comments, following fellow readers and more. 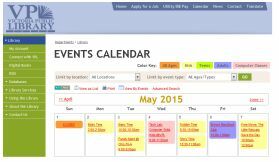 Offer your patrons a calendar and list view of your library's upcoming events, searchable by audience, branch or keyword. Online registration option boosts attendance and saves staff time! 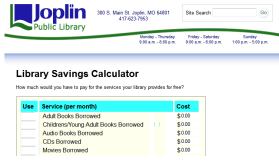 Demonstrate to your patrons the value of the services they receive from your library. Patrons enter the number of times they use library services into a simple web form. The form computes the dollar value of each service as well as a grand total. Totals can be emailed to library staff. Allow your patrons to submit a brief paragraph describing why the library is important in their lives. 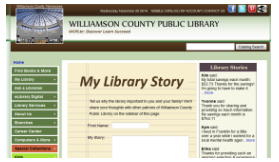 Recently submitted stories are shared on the Tell My Library Story Page and are available for other library publications with the permission of the submitter. Gather valuable feedback from your patrons with an easy-to-complete web form. 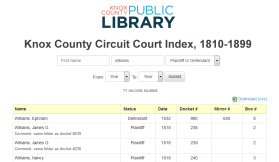 Have a local database you would like to make available to your staff or patrons? We can help you convert your existing data into a searchable Web site. Would you like to offer an interactive web form on your site? Think interlibrary loan, purchase suggestion, ask a librarian or more!